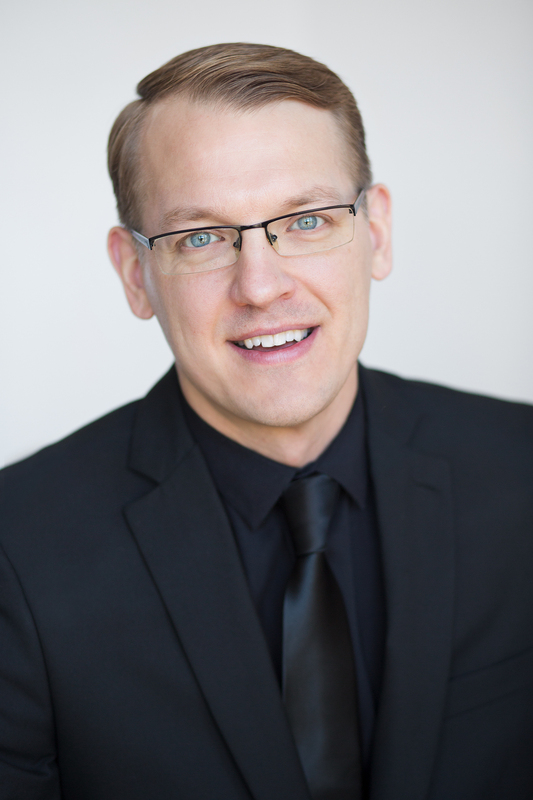 Kevin Birch holds the Doctor of Musical Arts degree from the University of Iowa with previous studies at New England Conservatory in Boston and the Sweelinck Conservatory in Amsterdam. Since 1992 he has served as Director of Music at St. John’s Catholic Church in Bangor, Maine where he also serves as Executive Director of St. John’s Organ Society. He is a member of the music faculty at the University of Maine’s School of the Performing Arts in Orono and serves on the Liturgical Commission for the Diocese of Portland. He has performed solo recitals in the US, Canada, Europe, South America and for several national conventions of the Organ Historical Society. Organist Margaret Harper has performed across the U.S., Europe, and Asia. Croatian newspaper Glas Slavonije writes, “The freezing cold of a January evening dominated the cathedral in Djakovo, but it could not diminish the richness and warmth of sound brought out of the cathedral organ by Margaret Harper.” Margaret is the Director of Music and Liturgy at St. John’s Episcopal Church in Portsmouth, NH, as well as the Director of the Choir School at St. John’s. This Fall, she joins the faculty of the University of Southern Maine School of Music as Artist Faculty in Organ and Harpsichord. She is also on the faculty and the board of the Young Organist Collaborative and is Artistic Director of the chamber music series Concerts on the Hill. 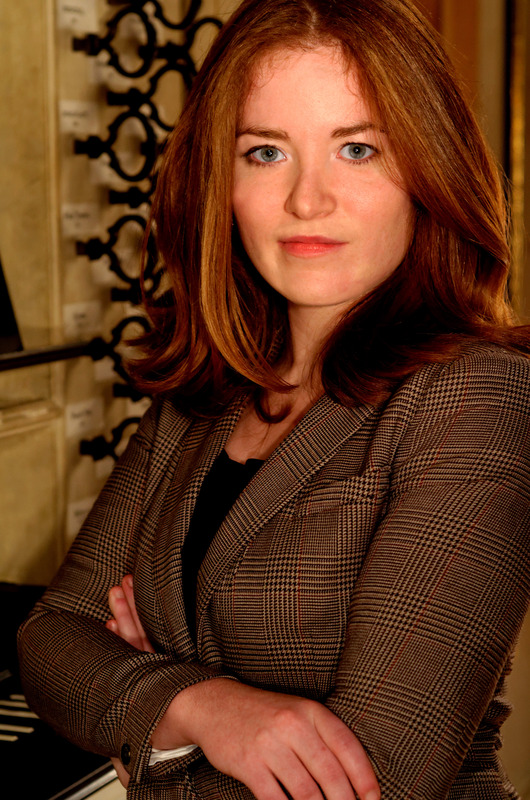 She has presented academic papers at national and regional conferences of the American Bach Society and the American Guild of Organists, and in 2016 was the keynote speaker at the Around the Mountain Organ and Choral Festival. Margaret holds a DMA and a Performer’s Certificate from the Eastman School of Music. Her primary teachers include William Porter, David Higgs, Michel Bouvard, Edoardo Bellotti, and Edward Zimmerman. She was a stipendiate at the 2012 Arp Schnitger International Organ Competition. 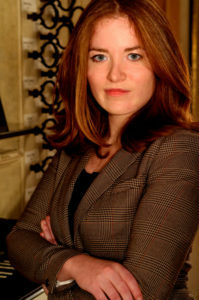 In the same year, she was the inaugural recipient of the James B. Cochran Prize, which is awarded annually for the best organ degree recital at the Eastman School of Music. In 2014, she was a semifinalist in the National Young Artists Competition in Organ Performance. Winner of the 2011 Canadian International Organ Competition and director of Boston Organ Studio, Christian Lane is one of America’s most accomplished, respected and dynamic concert organists and pedagogues. He is a frequent recitalist throughout North America and Great Britain. 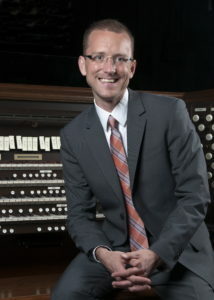 As founding director of Boston Organ Studio, Christian Lane cultivates the largest private organ studio in the United States. 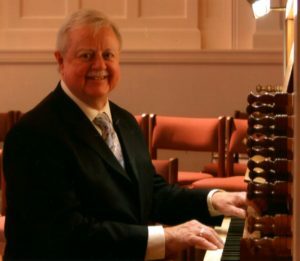 Committed to supporting his profession, Mr. Lane has served in several leadership roles within the American Guild of Organists, most notably as national vice-president from 2014–16; he currently serves on the board of the Old West Organ Society and as programming chair for the 2017 Montréal Organ Festival. An avid proponent of new music, he has commissioned and premiered works of Nico Muhly and Carson Cooman, among others. Christian Lane holds degrees from Yale University and the Eastman School of Music, and has served in many notable positions, including at Harvard University and Saint Thomas Church Fifth Avenue (New York). Critical acclaim welcomed his two solo recordings, and he is featured on many further discs as choral accompanist. Mr. Lane currently serves as Director of Music at All Saints Episcopal Parish, Brookline, Mass. and in similar capacity for the chapel of Tufts University. He is represented by Karen McFarlane Artists, Inc.
Jonathan William Moyer is an assistant professor of organ at Oberlin College and is music director and organist of the Church of the Covenant in Cleveland, OH. He specializes in a vast repertoire from the renaissance to modern era, and his playing has been described as “ever-expressive, stylish, and riveting” (The Baltimore Sun). 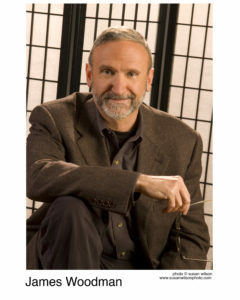 He has performed throughout the United States, and in Europe and Japan, along with numerous ensembles including the Boston Symphony Orchestra, Richmond Symphony Orchestra, Tanglewood Festival Orchestra, and the Oberlin College Orchestra. 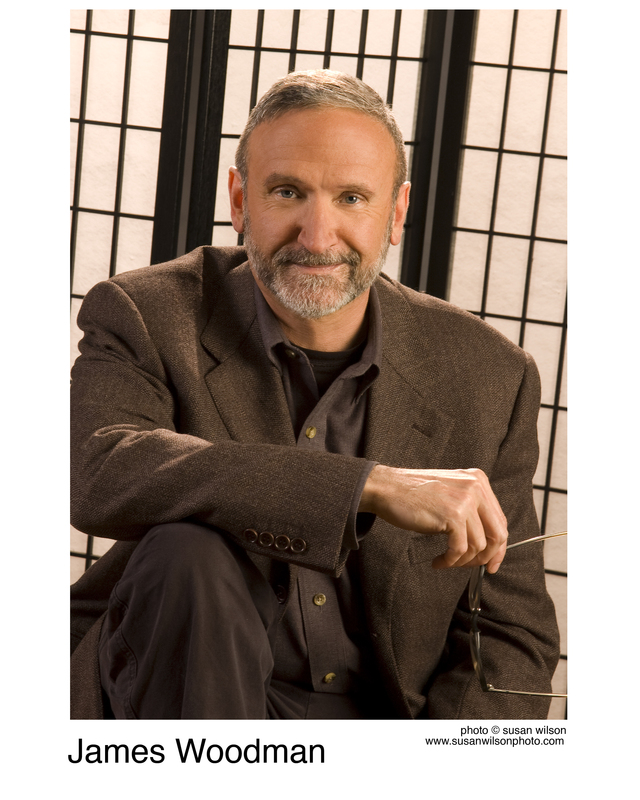 Dr. Moyer holds an Artist Diploma in organ from the Oberlin Conservatory of Music and a Doctor of Musical Arts and Graduate Performance Diploma in organ from the Peabody Conservatory of Music (Baltimore), where he also completed a Master’s degree in piano. He received a bachelor of music degree in piano from Bob Jones University. In 2008, he won the second prize in the Sixth International Musashino Organ Competition in Tokyo, Japan. 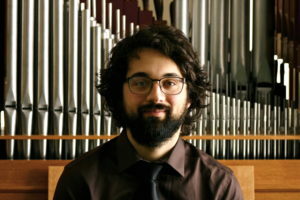 Organist, teacher, and church musician Dana Robinson is on the faculty of the School of Music at the University of Illinois, and organist at Grace Lutheran Church in Champaign., Illinois. A recipient of the Frank Huntington Beebe Grant for study abroad, he spent two years in Germany and the Netherlands, studying early German and Dutch repertoire with Harald Vogel. He holds the Doctor of Musical Arts degree from the University of Iowa, where he studied with Delbert Disselhorst, and the Bachelor and Master of Music degrees from the New England Conservatory, where he studied with Yuko Hayashi. Prior to coming to the University of Illinois, he held teaching appointments at Central College (Iowa) and Luther College, and was Organist and Choirmaster at Trinity Cathedral in Davenport, Iowa. He performs regularly for chapters of the American Guild of Organists, and for national conventions of the Organ Historical Society and the Westfield Center for Early Keyboard Studies. 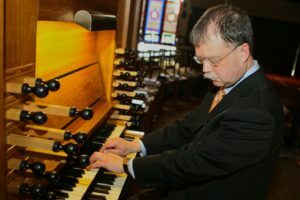 In addition to solo performances, he appears regularly in organ duet recitals with Paul Tegels, professor of organ at Pacific Lutheran University. His performance of J. S. Bach’s Orgelbüchlein can be heard on the ARSIS label. George Bozeman, a native of Texas, studied organ at the University of North Texas, and apprenticed as an organbuilder with Otto Hofmann of Austin, Texas. On a Fulbright grant he studied organ with Anton Heiller and harpsichord with Isolde Ahlgrimm at the Academy of Music in Vienna. After work with organbuilder Fritz Noack he founded his own firm in Lowell, Massachusets, later moving to Deerfield, New Hampshire. He has continued as an active church musician and is director of music at the Pembroke Congregational Church. He has played recitals across the United States and in Mexico, Canada, the Caribbean, and Europe. Bob (Robert C.) Newton is widely regarded as an authority on 19th century Boston organs, especially those built by the brothers Elias and George Greenleaf Hook. During his 53 years (1963-2016) at the Andover Organ Company, he worked on hundreds of old organs and oversaw Andover’s restorations of many significant E. & G. G. Hook instruments. These include First Parish Church (UU) in Bridgewater (Opus 132, 1852), Holy Trinity Lutheran Church in North Easton (Opus 254, 1859), South Parish Congregational in Augusta, Maine (Opus 389, 1866), First Presbyterian (Old South) Church in Newburyport (Opus 396, 1866), and Andover’s historically sympathetic rebuilds of Hook organs at St. John’s Episcopal Cathedral in Providence (Opus 123, 1851) and St. Joseph’s RC Cathedral in Buffalo (Opus 828, 1876.) Bob has also bought and stored several historic organs to save them from destruction until new homes could be found. The surviving pipes and windchests of Hook Opus 472 (1869), which he acquired in the 1990s, are now in their fifth home at Christ Episcopal Church in Charlottesville, Virginia, where they form the core of Andover Opus R-345. He currently owns Hook Opus 383 (1866) and Opus 69 (1842), one of the earliest surviving two manual Hook organs. Bob attended his first Organ Historical Society convention in 1963 in Maine, where he renovated the 1863 E.& G. G. Hook organ (Opus 328) in the Elm St. Congregational Church in Bucksport for a convention recital. Since then, he has repaired and tuned numerous organs for OHS conventions in the Northeast, often volunteering his time. 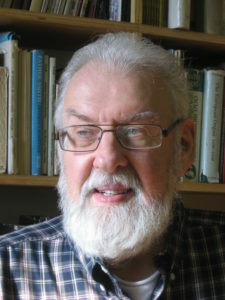 Bob served on the OHS Council, and on three OHS convention committees: 1972 (Central Vermont, which he chaired), 1974 (Lowell, Massachusetts) and 2013 (Northern Vermont.) In June 2016, by unanimous vote at the Society’s annual meeting, he was made an OHS Honorary Member in recognition of his many years of work in preserving and documenting numerous historic American organs. Barbara Owen holds degrees in organ and musicology from Westminster Choir College and Boston University. She is the author of periodical and anthology articles, entries in The New Grove Dictionary of Music, and several books, including The Organ in New England, E. Power Biggs: Concert Organist, The Registration of Baroque Organ Music, The Organ Music of Johannes Brahms, and The Great Organ at Methuen. She is a Past President of the Organ Historical Society, has served the American Guild of Organists as Regional Councilor and chapter Dean, and is a Trustee of Methuen Memorial Music Hall. 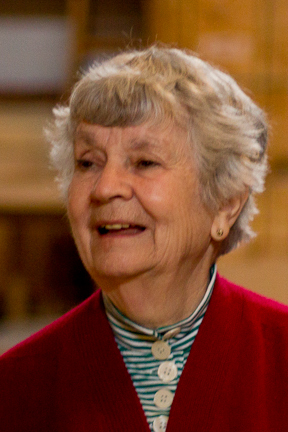 Now retired as Music Director of the First Religious Society of Newburyport and Librarian of the AGO Organ Library in Boston, she is currently active as a substitute organist, lecturer and organ consultant. Stephen L. Pinel holds two degrees from Westminster Choir College in Princeton, N.J., and did further graduate study in historical musicology at New York University. He served as Archivist of the Organ Historical Society’s research collection, The American Organ Archives, for 26 years between 1984 and 2010. 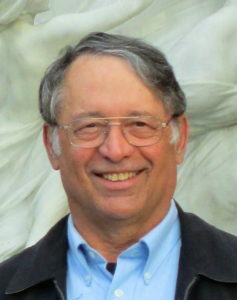 He has written several books on various aspects of American organ history, and frequently contributes articles to the trade journals, both here and abroad. He currently serves as the Music Director of St. Ann’s R.C. 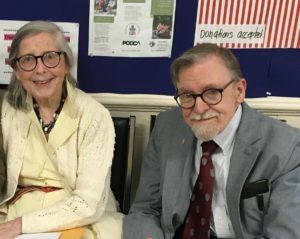 Church in Hampton, N.J.
Carlton and Lorna Russell have been involved with the Hook organ in Stockton Springs for over 40 years. In 1977 their gift, matched by the church, funded repair, restoration, and installation of a blower for this previously hand-pumped instrument; and they have given several recitals on it, most recently for the Hook Holiday in 2010. A church organist since 1965, Lorna is a graduate of Wheaton College and Harvard University, and taught high school French for 34 years. Carlton is Professor of Music and College Organist, Emeritus at Wheaton College, Norton, Massachusetts, and a graduate of Amherst College, Princeton University, and Episcopal Divinity School. A director of the St. John’s Organ Society, Dr. Russell has played many recitals on historic organs in the Penobscot region. Since 2006, the Russells have shared the ministry of music at St. Francis Episcopal Church in Blue Hill. They are members of a Baroque ensemble, The Somerset Consort, in which Carlton plays the harpsichord and Lorna the viola da gamba. 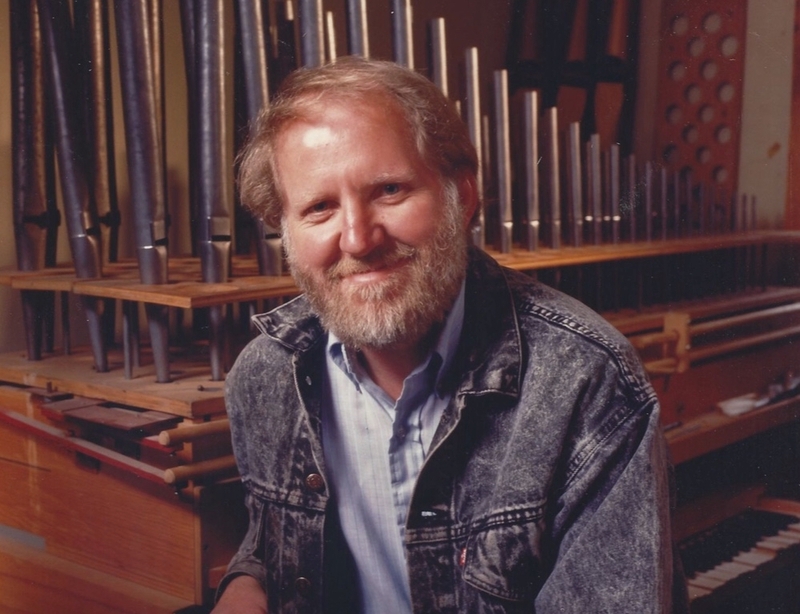 David Wallace is the senior partner of David E. Wallace & Company Pipe Organ Builders of Gorham, Maine. He received his early appreciation for the pipe organ and musical training in piano and organ from Eleanor Wallace, John Fay and Stewart Shuster. During his college years, Wallace apprenticed in pipe organ restoration with the Andover Organ Company of Lawrence, MA. 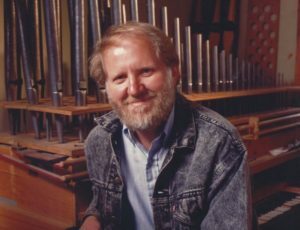 After completing college, a graduate degree and a career as a foreign language translator in two languages for the U. S. Air Force, Wallace returned home to Maine and founded David E. Wallace & Company Pipe Organ Builders as a pipe organ service company in southern Maine. The company has grown and specializes in the restoration and renovation of historic mechanical action instruments as well as the construction of new mechanical action pipe organs. Wallace & Co. instruments are located across the U.S. and also in Europe. Wallace has authored numerous articles for organ journals and magazines on pipe organ history, restoration and, in particular, the historic pipe organs of Maine. 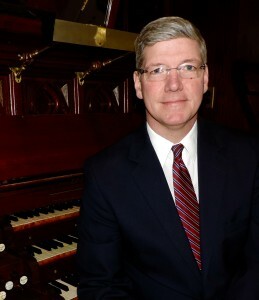 David Wallace is a member of the American Guild of Organists, The American Institute of Organbuilders, the International Society of Organ Builders and a life-long member of the Organ Historical Society. Nicholas Wallace holds a Bachelor’s Degree in Classical Guitar Performance graduating with honors from the University of Southern Maine School of Music where he studied with Keith Crook. 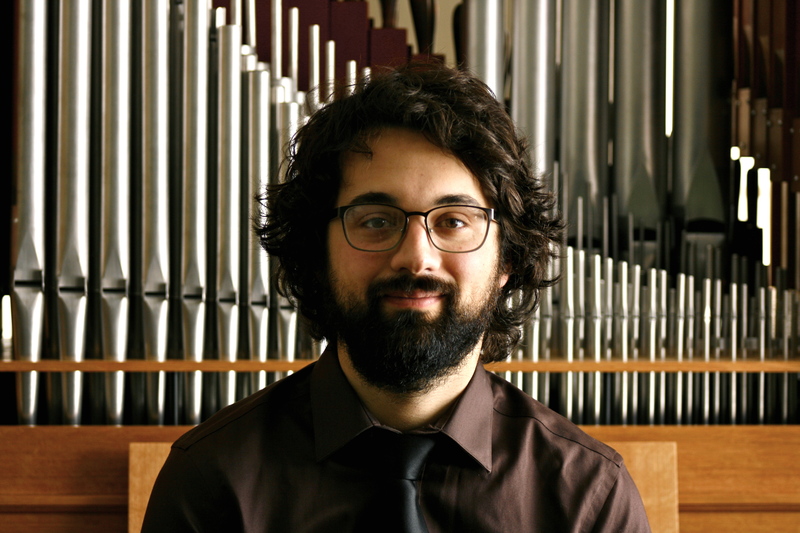 Nick has studied organ with Ray Cornils and recently with Harold Stover. While in college, Nick worked for C.B. Fisk, an organ company in Gloucester, MA. He worked in the shop and on the road for the installation of their opus 130 in Costa Mesa, CA. After graduating from college, Nick joined his father’s pipe organ building and restoration company, David E. Wallace & Co. LLC, full time. Nick assumed more responsibilities during the restoration and installation of the three-manual 1854 E&GG Hook organ at the Church of Our Lady and St Rochus in Boom, Belgium. Nick completed the major work on the three-manual 1893 Hook & Hastings organ for the Eastman School of Music in Rochester, NY. Nick’s work also includes the construction of historically inspired new mechanical action pipe organs for St. Paul’s Anglican Parish in Brockton, MA and for Holy Innocents Episcopal Church in Atlanta, GA. Nick recently designed and built a three and a half rank traditional-style portable organ that was first displayed at the 2014 AGO convention in Boston, MA and has since been used in a number of concerts by the Maine Music Society. Nick is a member of the Organ Historical Society, the American Institute of Organbuilders and the International Society of Organbuilders. Nick enjoys traveling and recently spent time in Australia hiking through some of the national parks of Tasmania. James Woodman was born in Portland, Maine, in 1957, and educated at Phillips Exeter Academy, Princeton University, and New England Conservatory. He was appointed the first Composer-in-Residence at the Cathedral Church of St. Paul, Boston, and currently serves as Monastery Organist for the Society of St. John the Evangelist, Cambridge. 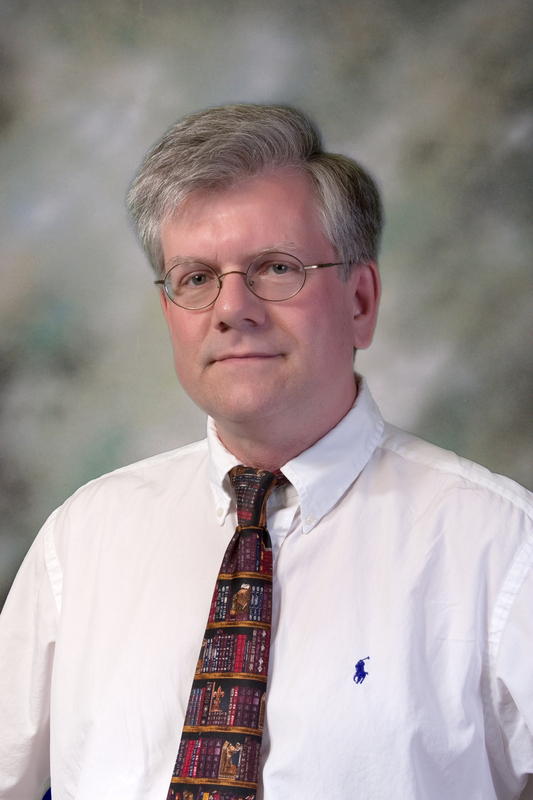 James Woodman’s organ and choral works are published by E. C. Schirmer, Theodore Presser, Boosey & Hawkes, and Thorpe. His compositions have been widely programmed, including performances at Magdalen College (Oxford), La Trinité (Paris), Festival Internationale de l’Orgue Ancien (Sion, Switzerland), Minato Mirae Concert Hall (Yokohama), Kaiser-Wilhelm-Gedächtnis-Kirche (Berlin), St. Thomas Episcopal Church (New York), as well as on the nationally syndicated radio broadcast “Pipe Dreams,” and on recordings by Peter Sykes, Nancy Granert, Christa Rakich, Erik Simmons, Mark Brombaugh, and the Boston Boy Choir.